The cryptocurrency market is on the verge of a seismic shift as Ripple and Ethereum are now virtually head-to-head in terms of market cap. The 2 tokens have already traded places multiple times today, but as it stands, Ethereum is ahead by just over $1 billion. The last time Ripple was ahead of Ethereum in market cap was in January 2018. Ripple’s market cap is approximately $23.5 billion at the time of writing, with its price peaking at $0.76 from a low of $0.27. The price of Ethereum, by comparison, peaked at $251 from a low of $195 in the past week. 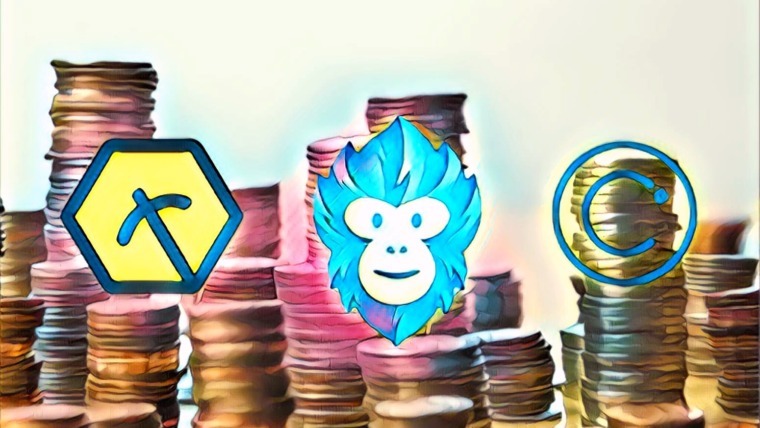 Much of Ripple’s trading originates from South Korean exchanges like UpBit and BitThumb. 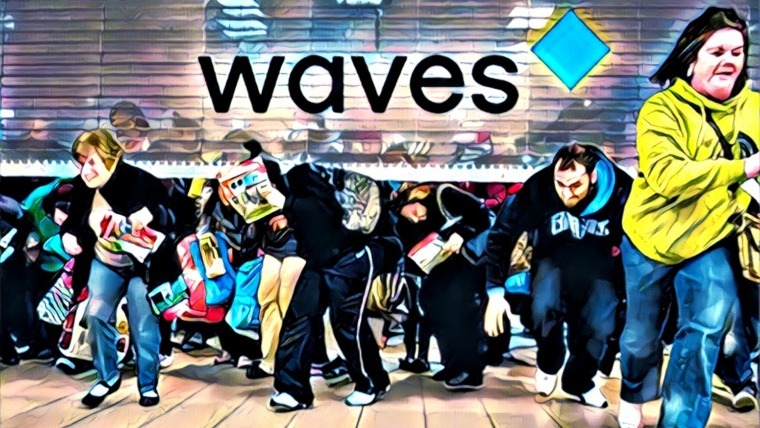 The overall market appears to be returning towards an upward trend, after months of uncertainty and heavy drops, which saw Ethereum drop to its lowest price of $173 in about a year. 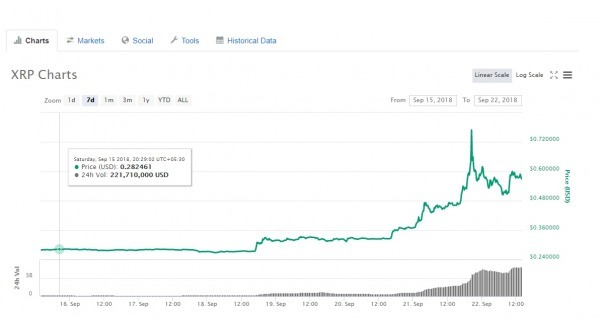 In the midst of this bull run, it is Ripple that seems to have gained the most, experiencing a 46% spike in value in the last 24 hours alone =- and, as is the case with the current crypto market, the exact reason for this sudden rise is unknown. 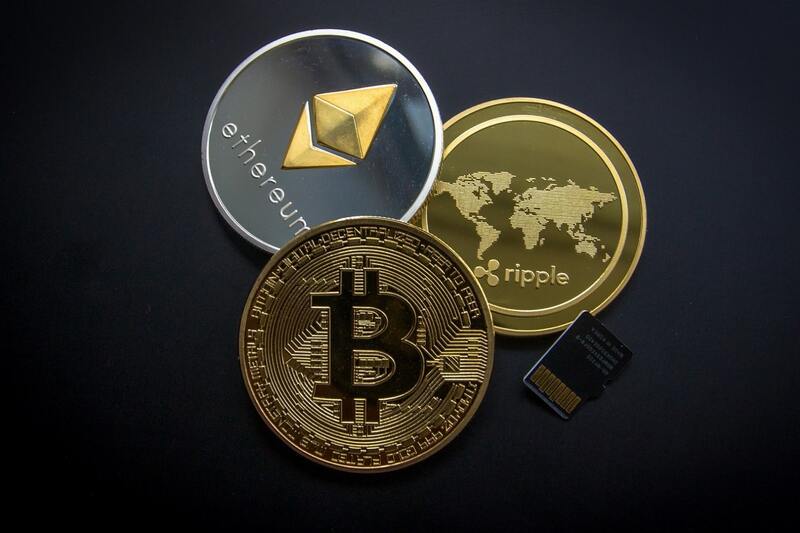 Some are pointing to a major Ripple announcement made in the past few days, where Sagar Sarbhai, head of regulatory relations for Asia-Pacific and the Middle East at Ripple, hinted at the release of Ripple’s xRapid solution in the next month. The product is designed to streamline cross-border payments for financial institutions by introducing the XRP token as an intermediary currency. Ripple’s CEO Brad Garlinghouse has also expressed confidence that Ripple’s products and services will be adopted by more banks in 2019, and perhaps there is growing investor confidence in Ripple’s ability to rope in banks and get them on the blockchain bandwagon. Even so, the quantitative gains made by Ripple is still eyebrow-raising, as it has doubled in value. XRP hit 7-month lows as recently as July. Investors should still be wary of Ripple’s fluctuations, however. This is not the first time that Ripple has undergone rapid price shifts. It was once as high as $3.80, only for it to fall to $0.26 and remain under a dollar since. It remains to be seen if, and for how long, XRP can maintain this bull run. 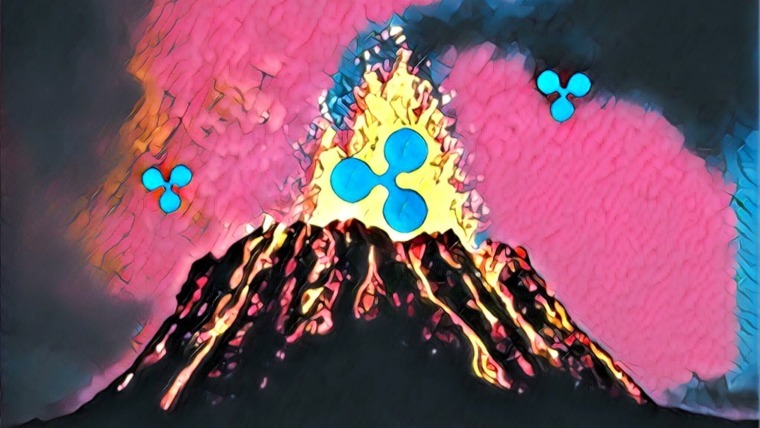 In the end, it still comes down to the product, so it would be wise to eye the markets and see what the consensus is on Ripple’s imminent new product — another meteoric rise in price is possible. 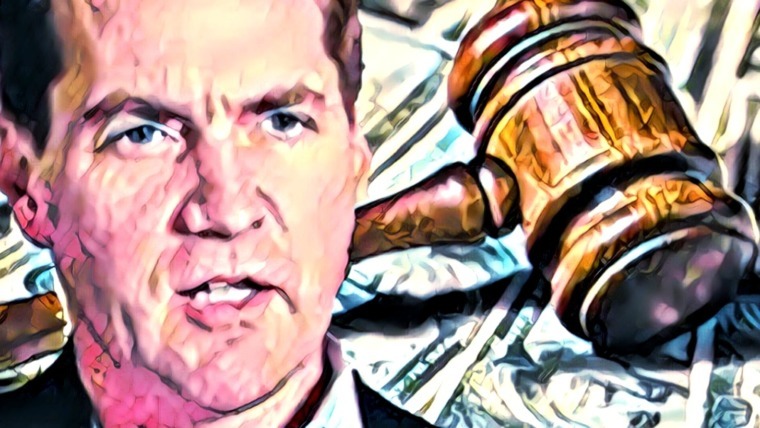 As xRapid hits production in the next months, the market will see if Ripple can indeed cement this new investor conviction, and if it can permanently dislodge Ethereum from the #2 spot.